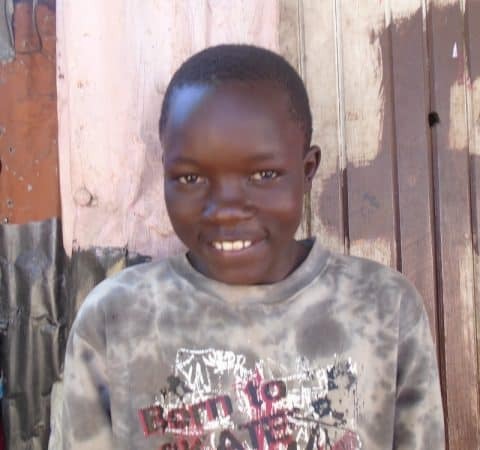 Meshack is 12 years old, he was born in December 3rd 2006. Currently, he is in the fifth grade and schooling at Forester Academy. He leaves home at 6pm so as to get to school by 6:30am. When she joins the program, Meshack will enroll at Jagiet Academy which is located in Kawangware, Dagoretti Sub-County and also one of our focus schools. He lives with both his parents his brother and sister. 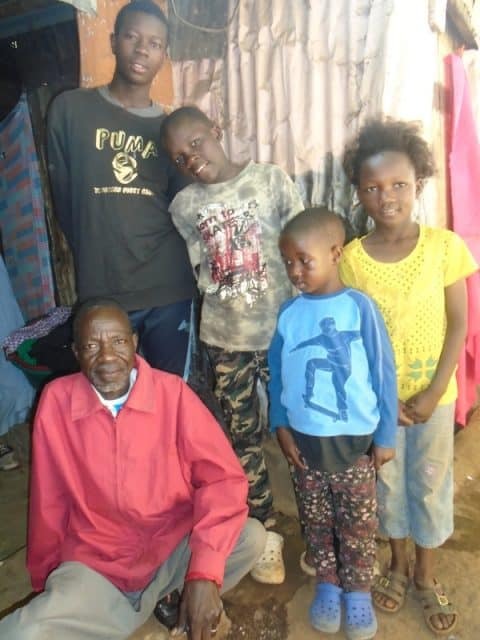 His father who is physically disabled does shoe repairs for people from his wheelchair while his mother does casual jobs mostly doing laundry for the middle-class Kenyans so as to make a living for the whole family. The income got is not enough and therefore the family at times finds it hard to access basic needs as compared to the other privileged families. The home situation is not good as the family is really struggling to make ends meet. His home is not conducive for effective daily stay and studies. 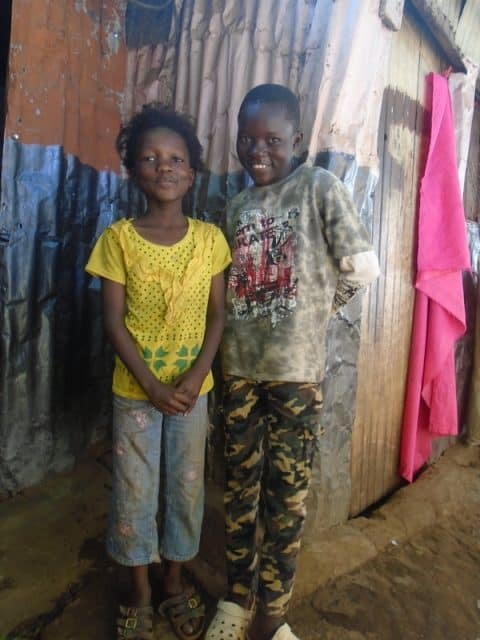 Their house is single roomed made of rusty iron sheet and very small. It is however connected to electricity and therefore the family is able to use it for lighting at night. They share one pit laterine and one bathroom with 12 other household mostly of a similar number or more. Having no running tap water in the house, the family buy water for domestic use from the nearby water vendors at a cost of Ksh.10 per 20 liter jerican. They use a charcoal stove to prepare their meals. 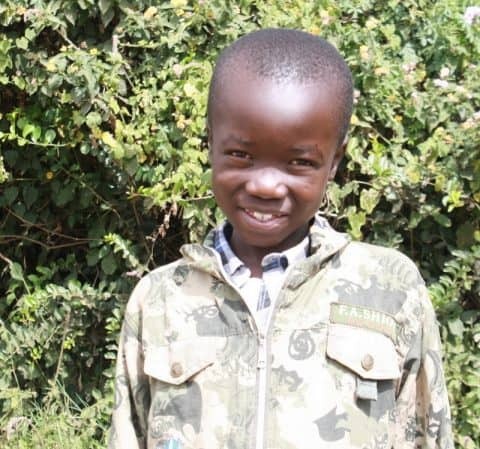 Meshack shares a mattress at night with his elder brother, the mattress is placed on the floor at night and on their parents’ bed during the day. According to the parents, they live in the area due to lack of enough money for a better life despite the place not being safe in terms of security especially, during the election periods. The parents are however optimistic that their lives will change for the better in the near future. They are therefore also optimistic that their child will be able to secure this sponsorship so as to help him transform his life through education. Meshack is very social, he likes playing rugby while at school. He hopes to become an aeronautical Engineer when he grows up. In the recent exam he scored 400 marks out of a possible 500 marks.